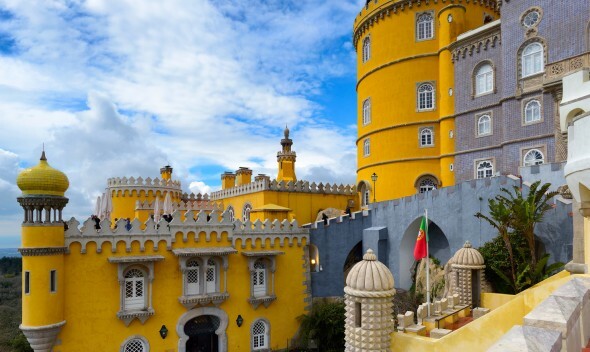 It boasts castles and palaces, gardens and parks, and it’s an easy 45 minute train ride from Lisbon. 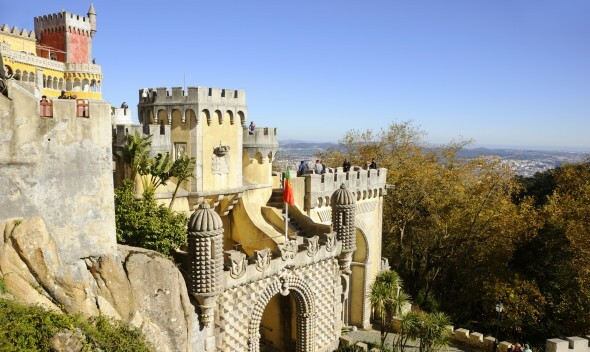 Still, the only problem with Sintra is having enough time to see everything. One day won’t ever be enough, but if you do manage to visit a site or two, try not to miss these. 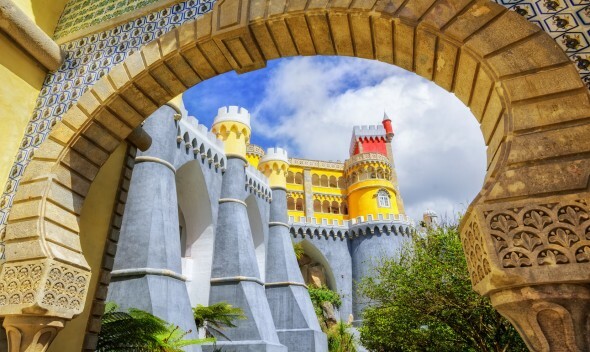 Here are 5 of the absolute best attractions to see in Sintra, Portugal. 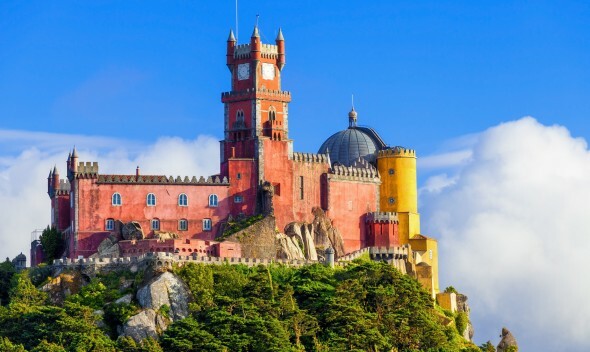 It’s a a UNESCO World Heritage Site, one of the seven wonders of Portugal, and one of the leading examples of 19th-century Romanticist architecture in the world. 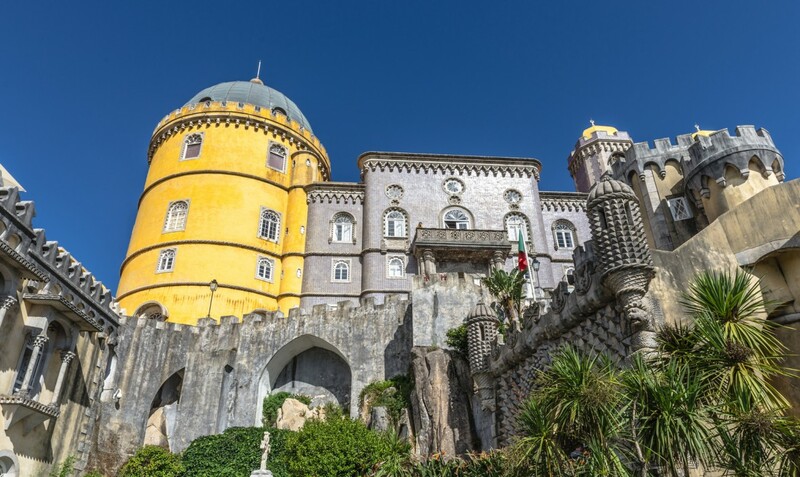 Welcome to Pena Palace, which is impressive both inside and out. 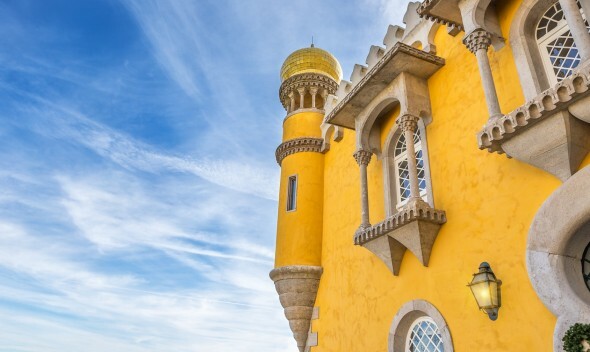 The palace is colourful and eclectic architecturally, and sits in a regal position in Sintra’s hills with glorious, sweeping 360 degree views. And then there’s the park: over 200 hectares of forest, peppered with magical monuments and sites. Amoung these you’ll find (if you can navigate the maze of parkland) temples, lakes, fountains, caves, greenhouses and chapels. You can easily pass a day or more in Pena alone. Does magic exist? 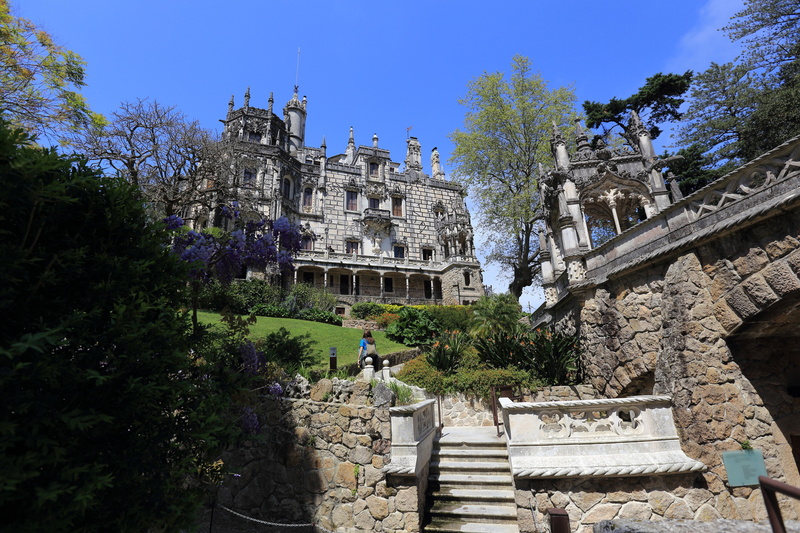 You’ll start to believe it the second you arrive at the gates of Sintra’s enchanting Quinta da Regaleira. Above you rises a five-floor palace with ornate steeples and intricately carved windows; before you sprawls four hectares of romantic gardens. Built relatively recently (the start of the 20th century), the architecture of the palace and surrounding structures is an interesting mishmash of revivals: spot elements of Gothic, Renaissance, Roman and Manueline styles woven throughout. The gardens are filled with fairytale grottos and fountains, rows of classically-inspired statues, flowering trees and plants, and – perhaps its most famous feature – a mysterious spiral well, formed of moss-covered stone and said to be an initiation well for Masonic ceremonies. In contrast to the rich and opulent details of the palaces above, the 9th-century Castle of the Moors has a spectacular simplicity. Here, the castellated ramparts wind up the mountain like the barbed tail of a sleeping stone dragon, and the very air around you seems ancient and steeped in history. What’s more, the view from the castle is breathtaking, and when you stand amongst the mossy stone walls looking out across the hills and all the way to sea, you’ll feel very kingly indeed. 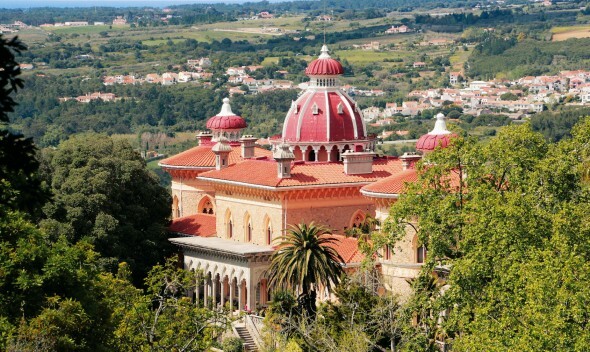 Gothic and Indian influences swirl together in an allegiance of harmony at Sintra’s Monserrate Palace. Yet another magnificent example of 19th century eclectic design, this Romantic creation is worthy of a visit. Inside, Gothic archways flower from intricate stone and marble columns; Mughal patterns cover windows and fill courtyards; awe-inspiring detail touches everything from tiled floors to stone-carved ceilings. Outside the palace, beautiful botanical gardens beckon you to stop and enjoy a peaceful moment or picnic lunch. 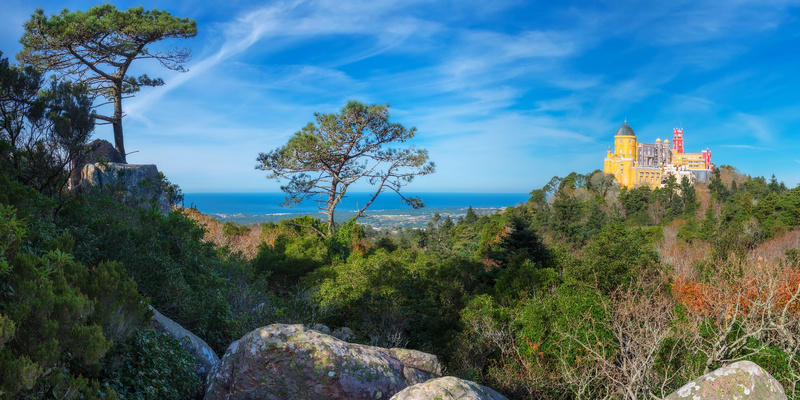 While the unusually high concentration of castles and palaces may be inclined to steal all the attention (and most of the hours in your day) when you visit Sintra, you’d be amiss not to also spend some time exploring the township itself. The historic town center is one of cute old buildings and pedestrian-friendly cobbled streets, where plenty of cafes and ‘pastelarias’ are waiting to serve you plates full of traditional treats like travesseiros (pastry “pillows” filled with almond and egg cream) and queijadas (a small sweet cheese tart).